The reason why we are making this post is Chibera needs your support. 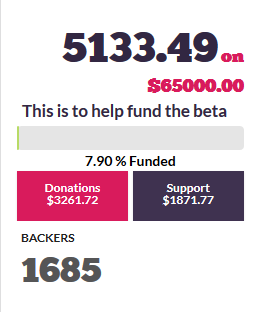 We already have $65,000 which will get us only partially where we need to be. There are more funds needed to get it to the level we need and want out of a real MMORPG that has 4k support and that is VR ready. Chibera hopes to add a new portal of interaction for Steem. Which we hope will allow the creation of a bridge between a market that has millions to spend but nothing to really spend it on other than cashing out. With features like sharing clips of your gameplay and cool screenshot directly to the Steem blockchain - this will bring new users who are yet to be touched by the mysterious world of blockchain technologies. Currently, we've been supported with $5000+ Dollars . We have also been given over 36,000 delegation for perk ranks as well. Every person who buys a perk will be Entered into drawing into winning a custom Chibera I9 2080 liquid cool custom RGB custom PC with razor mouse and keyboard. 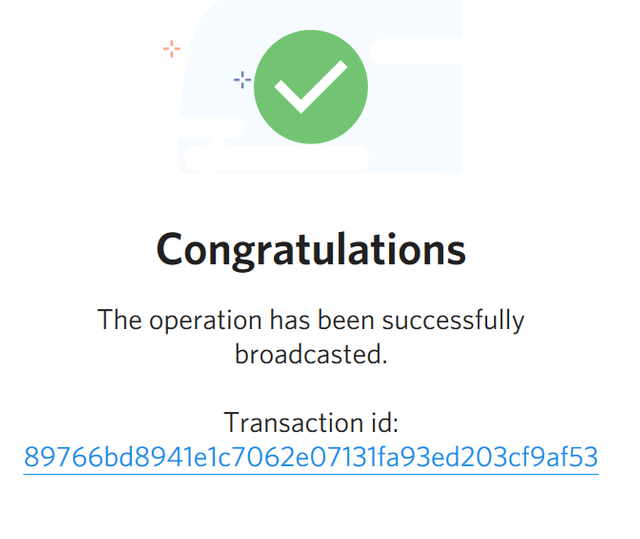 5$ given, wish you all success. By the way, it helped me to understand @fundition a bit. That helped a lot , its definitely going to bring revolution for those who love to play with fantasies. You have a great potential to become the next great dapp. And I am trying to give you a 5$ reward, but its not working in Fundition, I will reach their chat to figure out. Using the platform for the first time. This is truly a welcome development. One thing I love about this Post is the fairness and accountability it depicts. Your readiness to be open and share the financial status so far is quite encouraging. I read it all... That was nice! But you know what, if earning Steem while playing this will be easier to spread to all. It's like getting something special PERKS inside the game and once you have that you can exchange to STEEM POWER or SBD after they gather all but I think it will be hard to a developer? We were discussing options to have players earn steem directly through playing, but in the end, we discovered that is pretty much impossible in a real-time game as the blockchain (and not only the Steem blockchain but all blockchains) are just too slow for real-time games where a 100 ms lag can cause you to lose. So the blockchain connection will be used for sure in the auction house, where a bit of lag will not really be a problem. We are looking into a few other avenues to use it as well, but we don't want to promise anything there, because we first have to see whether they will be viable. Nice to see this funding. i learned something. thanks for this mate. @chibera you are doing a great work.. And I wish you gat more supports... I also am a gamer and I play various pc and mobile games.. But I sadly i only find a handful of posts related to game reviews, gameplays, rips and tricks and new launch updates. While other crypto and non crypto pltforms like twitch, youtube etc are earning both revenue and popularity. I think games should be popular topic in steemit and I believe it has a booming future ! Sadly as a newbie I am not able to help you financially. But, What I can do is giving an upvote and a resteem to help you and I wish you get huge success in near future! keep it going! I am with you! I think for the good cause its good to cough up the mulas. Really wishing this project the best of outcomes. Hope you guys reach your target in the crowdfunding. Absolutly the same thing what i was thinking omg!!!! I use to play before much now just COC😂😂😂 But few days ago i was thinking about that how cool ot will be if there is a game a cool game conected with steem. Fundition also allows altcoins and pp donations as well. Nice to see that the funding of your mmorpg project is slowly moving forward. Do you have any plans of implementing smt tokens into the Chibera ecosystem somehow? Yes, there is a plan to have smt's and a content style platform on the main website as well in the form of a forum. Smt's make sense from an auction house and cashshop perspective. It would be ideal to have it maxed out soon. But thanks for the kind words. Good luck guys. If I had more disposable income, I'd throw more your way. Finding a job is a bit tough where I'm at so its not too easy. Awesome reading the positive feedback in the comments here! Many people love the idea for sure. Hay buddy what is this all about? Thank you for this useful post :) Already Liked and Shared. thats nice. you have already a gameplay video? This post has received a 92.61 % upvote from @boomerang. You got a 71.68% upvote from @upmewhale courtesy of @chibera! what can we do with @chibera ?